99 cents can change your future! Score higher on the GRE, get into the school of your choice or land that academic scholarship. A one dollar investment is a small price for a bright future! Preparing for the GRE is more than just cramming math equations and vocabulary words in your head. It's important to have a plan for studying, strategies for approaching the problems that you will face, and ideas about how to manipulate the GRE to your advantage. That's where From the Trenches comes in. 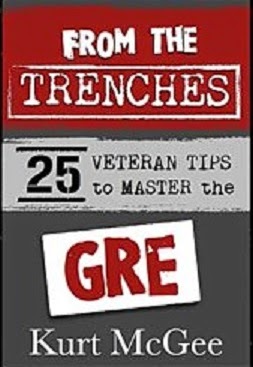 If you want to get the most out of your GRE study and learn from someone who has significant experience with the test, click Buy Now.